U.S. Rep. Jared Polis made his millions as an Internet entrepreneur, and in his eight years in Congress he’s never really avoided a good fight — whether on the floor of the House or at heated town halls throughout his sprawling 2nd Congressional District. So it stands to reason he would choose the potentially nastiest, most contentious of forums for a virtual announcement and Q&A on Sunday launching his 2018 campaign for Colorado governor. Polis hosted a Reddit Ask Me Anything forum on Sunday night ahead of today’s in-person event at Solar Roast Coffee in Pueblo. The popular online forum literally lets readers ask anything, and Polis has stepped up to the plate on Reddit several times in the past. That’s unusual in this day and age of House and Senate members ducking out on or avoiding altogether the passionate grilling by some constituents at packed town halls. Even at the height of the Tea Party anger over Obamacare in 2010, Polis dutifully attended town halls and answered tough questions till the bitter end. Now his town halls tend to be slightly more civil given the passionate push-back by progressives against the Trump administration, but the Internet is still a free for all. Generally, Polis says people are interested in the issues and play nicely on Reddit forums. As governor, the Boulder Democrat says he would continue to push for accessibility. Self-described on his Reddit forum as a “gay, Jewish, gamer, nerd, baseball fan, retired florist, alfalfa farmer, numismatist, tarot reader, new father, beekeeper,” Polis wants to reach way beyond his progressive base to everyone in the state feeling left out of Colorado’s economic recovery. The Internet is one way to do that. Pueblo is a working class industrial city trying to remake itself for the new millennium. Although it’s not in Polis’s congressional district, he understands the plight of disenfranchised steel workers who need to be included in Colorado’s “New Energy Economy” and across all economic sectors. “That’s why we’re [in Pueblo] talking about green-energy jobs that can never be outsourced,” Polis said. “I think it’s important to run on making sure that Colorado is the center of the New Energy Economy. The city of Pueblo is leading the way. Pueblo is the largest city in Republican Scott Tipton’s 3rd Congressional District, which includes most of the Western Slope and a large portion of Eagle County. Polis represents the other part of Eagle County, including Vail, and also large tracts of the northern Front Range, which is the epicenter of the ongoing battle over oil and gas fracking. 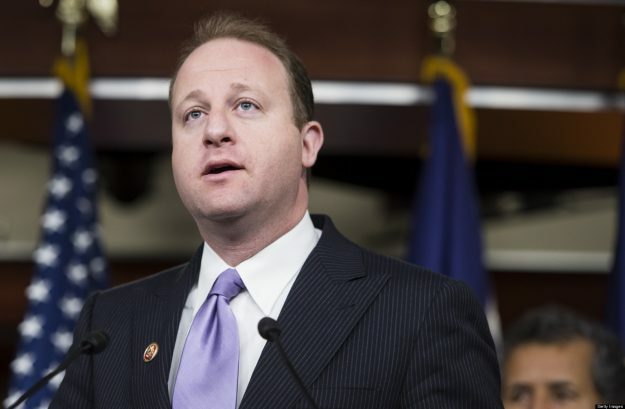 “With the absence of leadership from Washington on climate change and President Trump pulling out of the Paris Accord, it’s up to states like Colorado to lead the way [on renewables], so that’s why I’ve proposed 100 percent renewable energy by 2040 with a plan to get there that’s on my website at Polisforcolorado.com,” Polis said, adding drilling needs to be done more safely in the wake of high-profile explosions and fires on the Front Range.